It is precisely a month since I left Rabat and abandoned my African adventure and opted for rest and rerouting. Hindsight, the only exact science, has proved me right. In this month we have seen an escalation of the terrorist related activities across three different continents, sadly including Australasia. Fortunately no sign of problems in the next stop, New Zealand. So what have I done in this month? I have spent a great deal of time with family, I have seen friends I had not seen for a very long time and I have eaten excessively. Some if not all of that was expected and I am sure the 3000+ miles of sunny New Zealand will take care of the excess eating. I also rejuvenated the bike by having the wheels redone, this should put me in good stead for both New Zealand and the following Canada, what comes next might require more than new wheels. Another thing that I had not done for a while and I did in this month was skiing. Ten years ago Tarn and I spent a week in Austria which is where she learned to ski ten years later I realised that skiing at 45 is a total different proposition of skiing at 35. 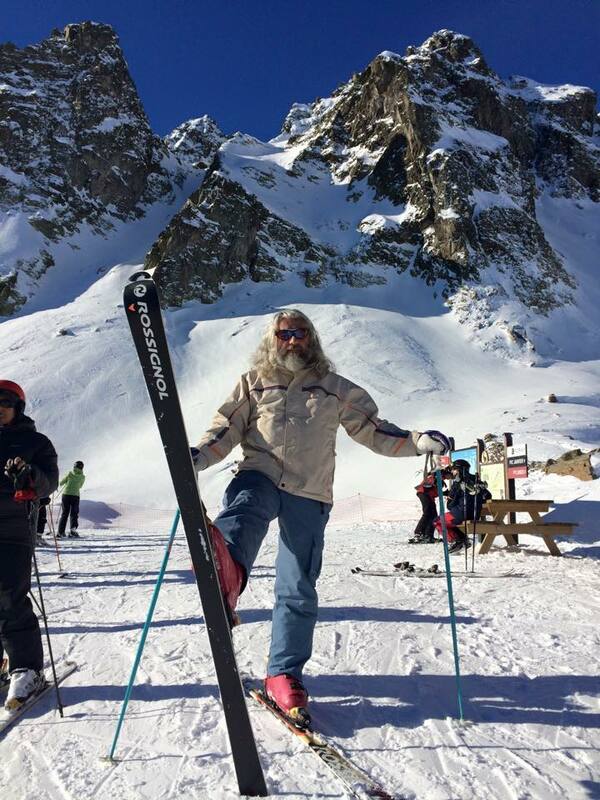 I am not sure I will ski again in a hurry, all things being equal, I will not spend much time in winter hemispheres in the next few years. That said I was not meant to be here either so… One thing is certain, the boots have got to go. I have had them now for more than 20 years and used them extensively, they were never built for comfort, but that was not a problem when age was on my side, now wearing them only causes rushes of envy for the snowboarders and they extraordinarily comfortable looking boots. I have now started the preparation for the departure, and will set sail on Wednesday for Tokyo. I am not excited about restarting the trip but in a strange way I am looking forward to getting going, I think the more time passes the less I understand myself. 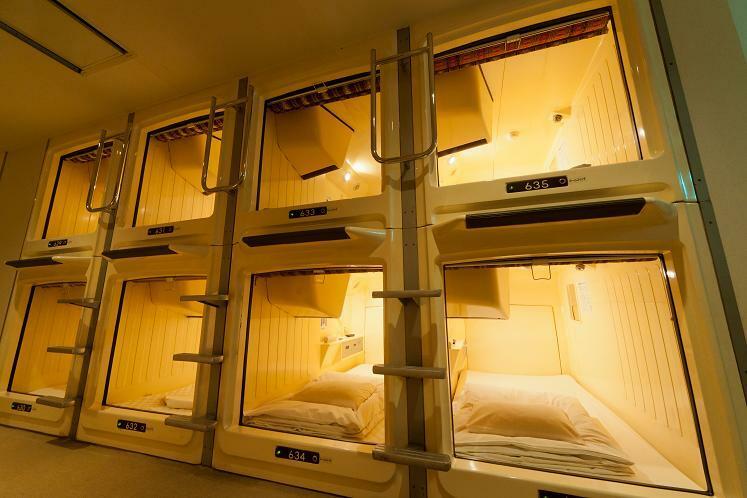 I am in two minds about trying at least one night in one of the extreme compact Tokyo hotels. Anyways, keep posted as the daily blog is about to restart. Safe travels. Looking forward to experiencing NZ vicariously through your eyes (and legs). Make sure you pay a visit to the Shire on your NZ travels. No particular reason but………..? Seriously, all the best my friend, and to coin an old Irish phrase ‘may the road rise up to meet you, may the wind be always at your back’. Thanks Lee, will make sure to get to both the Shire and the Misty Mountains. I might be on my way in a couple of weeks as an unexpected health problem of my dad is keeping me in Italy longer than I had expected. Best wishes for the NZ stage of your journey. We wish your father a full and speedy recovery from illness. Alex, you are looking very well and I thoroughly enjoyed your youtube video – the expanse of time and space is unimaginable from the office. Life continually reminds us that it is what you make of it that counts and that time is the most precious thing of all – you have my upmost respect for the adventure you are undertaking. As ever stay safe and look after yourself.